NetEnt AB is one of the most popular casino games and casino solutions developer that continuously offers great new games in this industry. They have recently announced that they will launch their first video slot which will be a part of their new product line called Max. This offer will have mixed volatility and the name of that first game is Berryburst. It will naturally come in its Max version which will be called Berryburst Max. 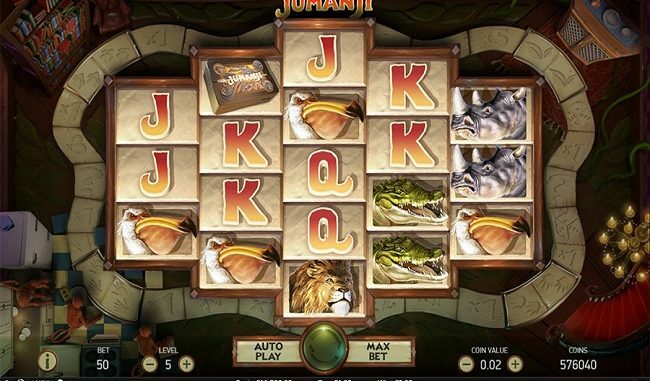 The Swedish company issued a press release on Thursday where they state that one of the main features of this video slot will be “a frenzy” where the fragments of fruits will float and fluctuate. It will also have a type of mechanism called Cluster Pays, which allows bigger wins to happen during the gameplay. Another interesting feature that Berryburst will have are the expanding stacked wild respins which can happen across all of the five reels that the game will feature. This group of creative and innovative people from Stockholm also stated that there will be a variant of the game called Berryburst Max which basically has a slightly different mechanics which will allow for a “much higher potential wins.” This type of game will mainly be suitable for people who prefer large payouts. Fans of the NetEnt AB’s work had an opportunity to witness the gameplay session during the iGB Live Amsterdam. The presentation went very well and it featured a slot superstar from Sweden called Kum Hultman. Berryburst is actually the game which took the feedback from many operators and players. Everybody claimed that NetEnt AB should diversify the volatility in the games that they offer and their Max product line does that exactly. The team at NetEnt AB simply followed the receipt which could be concluded from the various suggestions and they now firmly believe that they will satisfy the needs of the operators and the users with this new product line. Fagerlund stated that Berryburst and Berryburst Max would allow the operators to “cater to different needs of the players in different offering areas.” This clearly shows why NetEnt AB is the current leader when it comes to innovative slots. Moreover, Fagerlund added that Berryburst showed the superior experience in gaming that NetEnt AB offered and that it had a very exciting audio and visual display that made it the title that should be perfect for the launching of a new product range. As soon as you think that the Swedish company has reached their limits and that it cannot get better than it is, they come up with a great idea and show that they really do care about the customers, listen to their needs, and execute the ideas in their new games.